BOSTON – To mark Opening Day(s) of the 2017 Major League Baseball season, Digital Sports Desk (@DigSportsDesk) has assembled DIGGIES 2017: The Must-Follow Twitter accounts for MLB. It is the sixth in a series of sports business recommendations by Digital Sports Desk. It is the first by @DigSportsDesk for the sport of baseball as we target some obvious and slightly different people/places/things to follow to enhance your enjoyment of the upcoming MLB season while staying informed. Let’s throw it AROUND the HORN for our first “nine” is an offering of some of the main MLB accounts you should be sure to follow. @MLB – No brainer to follow the official account of Major League Baseball. @MLBPA – Account of the Major League Baseball Player’s Association. Equal time. @CUT4 – Is “everything awesome” about Major League Baseball. @MLBAM – The official account for MLB’s Advanced Media entity. A gateway to Baseball’s digital assets. @MLBNetwork – The official account for the MLB Network and a guide to the cable TV outlet. @MLBReplay – You want a run-down of everything that just happened in Baseball? This is the account to visit. @Baseball_Ref – Twitter feed for the best Baseball Reference tool. Great stats and history resource for the game. @Statcast – If you’re looking for new and different ways to analyze Baseball, this is your feed. Now that you’re warmed-up and ready to throw some smoke, here’s the rest of our recommendations as “Must Follow” twitter accounts for the 2017 Baseball season, mixing in some fun and hopefully new baseball experiences along with some of the most popular and investigative media accounts and a few players, too. @BBTN – The official account of ESPN’s Baseball Tonight, Sunday Night baseball and a key to all of ESPN’s coverage. @MLBonFOX – The account of Fox Sports’ coverage of MLB. @Fangraphs – Fangraphs Baseball has a ton of information, stats, analysis and, yes, some graphs. @BTBScore – SB Nationa’s SABR (Saber-slanted) view of the game. @Buster_ESPN – Want some news? How about Buster Olney’s official account to keep the news flowing all season long. All year long. @ESPN_Beisbol – The twitter feed for ESPN’s spanish-language coverage of MLB. Muy Bueno. @MzCSmith – Claire Smith’s official twitter feed which just happens to be celebrating the 2017 J.G. Taylor Spink award from the BBWAA. Pretty cool. @MLBRosterMoves – A feed with every roster transaction from every MLB team. You won’t miss a trade, a DL move or a waiver. @MLBNetworkRadio – The account for 24/7 coverage of MLB via its Sirius XM radio channel. @Ken_Rosenthal – Put a bow on your MLB insight via the insider-knowledge of MLB on Fox senior reporter Ken Rosenthal’s account feed. @PedroGomezESPN – Another source for MLB inside information via the reporting of Pedro Gomez. @BNightengale – USA Today’s national MLB reporter extraordinaire. @MiLB – The official account for Minor League Baseball where you can find news on all the prospects striving for the Majors. @MLBGIFs – A look at Baseball through some clever GIFs – you know, Graphic Interface Format, or funny video clips. @PlayBall – It’s not about the umpire yelling, it’s an account for inspiring baseball vibes. @USABaseball – The official account of America’s official governing body for baseball. 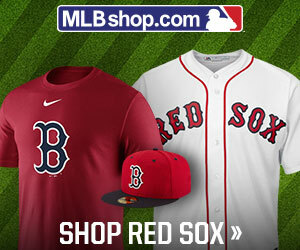 @MLBPAA – The official account of the MLB Players’ alumni association. And, for the Players’ Association, @MLBPAClubhouse – the licensing division for the players. @MLBPipeline – The official account of the MLB Draft and all associated mechanisms to fill the MLB pipeline with talented prospects. @MLBDraft – More of the same, with this feed focusing on the first-year player draft alone. @Topps or @ToppsDigital or @ToppsBUNT – Everything you need for collecting baseball cards, hard copy or digitally. Great stuff. @SN_Baseball – Official account of The Sporting News’ baseball staff coverage. @BattingStanceG – We promised some fun, so how about the official account of Batting Stance Guy? @SoxLunch @CubsLunch @MetsLunch – More fun via the daily e-newsletter kings of baseball. Let’s hope they can expand to more teams? @ThePostGame – Official account for The Post Game, including a ton of baseball coverage headlining their overall sports gig. @RickPetersonCT – Account for pitching coach guru and motivational speaker. @MauryBrown – Official account for “BizBall” the baseball sports biz writer for Forbes. @JoshRawitch – Account for the AZ Diamondbacks VP of Content& Communications, and content he provides. He’s an adjunct professor at ASU. @SRabe – Account for Bryan Srabian, SF Giants digital media guy and sports management professor. Only the 2nd of two professor listed, we believe. @Cubs – You might as well follow the defending World Series champion Chicago Cubs. @BaseballAmerica – Official feed for Baseball America Magazine, because it’s Baseball and this used to be America. @JonahKeri – Writer for CBS Sports and SINow, and a podcast worthy of download. @HardballTalk – NBC Sports’ official account for coverage of Baseball. @45PedroMartinez – The account for the Boston Red Sox fave 3-time Cy Young Award winner, turned broadcaster. Fun stuff. @BMcCarthy32 – Entertaining account held by the LA Dodgers pitcher, LSU and self-proclaimed LFC fan. @NoahSyndergaard – Entertaining official account for the NYM flame-throwing pitcher. @OldHossRadbourn – An unusual but rather entertaining twitter feed. Trust us on this one. @LindseyAdler – Account of a former SFer now in Manhattan, writer at Deadspin, highly worth a follow. @cdgoldstein – Twitter feed from the minor league editor at Baseball Prospectus. @Scottbraun – Account of NY-based MLB Network SNY and Sirius XM reporter. @Jim_Duquette – Follow former MLB GM turned baseball analyst for MLB Network Radio who is calling for Opening Day to be a National Holiday. @JWerthsBeard – Try Jay Werth’s beard for a different take on baseball. @jay_jaffe – Sports Illustrated writer and occasional guest on MLB Net or Radio, now hawking book on Cooperstown. @ScottMillerbbl – Account for Bleacher Report and Turner Sports commentator who is based in Southern Cal. @JeffPassan – Columnist for Yahoo Sports’ coverage of MLB. @WheresKernan – Highly entertaining and informative account of New York Post reporter Kevin Kernan. A must. @Jaysonst – Account held by ESPN (dot) com reporter Jayson Stark who says he’s grateful for invention of baseball. @TBrownYahoo – Official account from Tim Brown, the national reporter for Yahoo Sports. @molly_knight – Author of the Best team Money Can Buy and the feed reflects her LA roots. @Lana – Interesting account from Lana Berry, a Texan now based in LA. Poor thing. @Joelsherman1 – Another NYP baseball columnist and MLB Network Insider. @CraigCalcaterra – Lead baseball writer for NBC Sports. @AnswerDave – Account of Dave Brown, a KC-based writer for Vice, Baseball Prospectus and others. What’s the question? @KellyNash – Official account for the MLB Net host. @BenBadler – Ben Badler does prospect rankings for Baseball America and tweets about general player dev in Baseball. @JPosnanski – Now the exec editor at MLB (dot) com and lover of Hamilton – the musical, not the major leaguer. @MikeOz – Editor of Big League Stew and writer of baseball at Yahoo. @Mike_Petriello – Wrier of baseball “at a lot of places,” now at MLB (dot) com where Statcast matters. @JessMendoza – Official account from Olympian turned ESPN Sunday Night TV commentator. @HardballTalk – NBC Sports’ feed on all things baseball. @JJCoop36 – Account of Baseball America Managing editor JJ Cooper. @CespedesBBQ – Baseball is weird and yes, they are weird, too … we give you the Cespedes Family BBQ. AUGUSTA – (Special to Digital Sports Desk by The Sports Xchange) – Sergio Garcia criticized the course at Augusta National Golf Club as “too tricky” in 2009, and was so frustrated after the 2013 Masters that he said he isn’t “good enough” to win a major. The 37-year-old Spaniard, near the top of everyone’s list of best players without a major championship, was in a much better place after shooting 3-under-par 69 in windy, chilly conditions on Friday to tie Charley Hoffman, Thomas Pieters of Belgium and Rickie Fowler for the lead midway through the 81st Masters. Hoffman, whose only top-10 finish in a major was a tie for ninth in the 2015 Masters, opened with a 65 and gutted out a second-round 75 to equal Garcia’s 36-hole total of 4-under 140 in the morning wave. In the afternoon as the weather improved, Pieters shot 68 and Fowler recorded the low score of the day, a 67 after he missed a 10-foot birdie putt on the last hole. None of the four leaders has won a major. “The first two rounds are probably the best I’ve ever played at Augusta,” said Garcia, who birdied the first three holes and two of the last four, but missed a five-foot downhill putt on the last hole that would have given him the outright lead. Garcia, who has played in 73 majors and finished in the top 10 on 22 occasions, survived a scare on the 10th hole when he hit his tee shot into the trees and had to hit a provisional. For a while, there were reports that he had made a triple-bogey 7, but he actually found his original ball and salvaged a bogey. Hoffman increased his overnight lead by one to five strokes with a birdie on the second hole, but stumbled with five bogeys on six holes through No. 13 before salvaging the round by playing the last seven holes in 1-under. “I got off to a good start, but then obviously I made some errors,” said Hoffman, who has won four times on the PGA Tour. “But 75 isn’t a bad score out there in these conditions. Pieters, a Masters rookie who has won three times on the European Tour, made his only bogey of the day on the first hole, carded three birdies and sank a nine-foot eagle putt on the 13th hole in a 68. “I never played the course before Monday,” said Pieters, who was a star for the European team last year in the Ryder Cup at Hazeltine. “Everybody talks about Augusta and it’s lovely, a special place, but it’s just another golf course. A lot of people come to watch and you get excited. Fowler opened with a 73 that included a double-bogey 6 on the last hole. He jump-started his second round by holing a bunker shot for eagle on the second hole, added four birdies and saved his only bogey after hitting his second shot into the water at No. 15. “I made a great par putt on the first hole, made the eagle on two, a birdie on 3 and just kept things moving forward,” said Fowler, who finished in the top five in all four majors three years ago, but does not have a top-10 since. “I had fun, made some shots. Journeyman William McGirt, playing in his first Masters, posted a 73 with two bogeys down the stretch and is two strokes back in solo fifth. Olympic gold medalist Justin Rose of England made bogey on the last hole for a 72 and is three behind in a tie for sixth with Ryan Moore, who had a bogey-free 69, rookie Jon Rahm of Spain and 1992 Masters champion Fred Couples, who both shot 70. Jordan Spieth, the 2015 Masters champion, birdied three of the last six holes to card a 69 and was four down in a tie for 10th. He is tied with Adam Scott of Australia, the 2013 Masters champ, who birdied the last hole to shoot 69, and three-time Masters winner Phil Mickelson, who came in at 73. Rory McIlroy, who can complete the career Grand Slam with a victory on Sunday, made bogey on the last hole and is another shot back in a tie for 13th that included 2011 Masters champion Charl Schwartzel, who finished at 72. DETROIT — The bullpen Dave Dombrowski built bested the one he has.True, there was more stumbling than a runner on a chipped-up sidewalk but the relief staff Dombrowski largely built when he was general manager of the Detroit Tigers came out on top of the one he has fashioned as president of the Boston Red Sox. Rookie JaCoby Jones walked on a 3-2 pitch with the bases loaded in the eighth inning to force in the go-ahead run and finish a two-run rally that helped Detroit make its home opener a success on Friday with a 6-5 victory over Boston. Mikie Mahtook delivered a pinch-hit a RBI double to left field to tie the score 5-5 with two out in the eighth as the Tigers got to the Red Sox bullpen. Right-hander Heath Hembree (0-1) struck out the first two in the eighth before walking two. Righty Joe Kelly walked James McCann to load the bases before losing Jones on a full-count pitch. McCann’s two-run home run in the seventh had given the Tigers a 4-0 lead. Where Detroit manager Brad Ausmus went to his closer for a four-out save try, which didn’t work, Boston manager John Farrell passed on the chance to bring in Red Sox closer Craig Kimbrel for a four-out save. Pablo Sandoval hit a three-run, opposite-field home run to left center with two out off Tigers’ closer Francisco Rodriguez in the eighth to cap a five-run rally that gave Boston a short-lived 5-4 lead. Chris Young hit an RBI double and Jackie Bradley Jr. added an RBI single prior to Sandoval creaming an 0-2 pitch from Rodriguez for his first home run of the season and first since 2015. Rodriguez (1-0) stranded runners at second and third in a scoreless ninth for the win after failing in his bid for the four-out save. “Truthfully, I didn’t want to bring him in,” Ausmus said. “I really didn’t want to bring him in for a four-out save this early in the season. He hasn’t pitched that much. But I just felt like we had to. The wheels were coming off a little bit. Boston was shorthanded with designated hitter Hanley Ramirez and right fielder Mookie Betts both sidelined due to illness. Detroit right-hander Michael Fulmer, making his first start since being named the 2016 American League Rookie of the Year, blanked Boston on four hits over six innings. He walked two and struck out four. Red Sox knuckleballer Steven Wright was touched for seven hits and four runs in his 6 2/3 frames. McCann hit his first home run following a leadoff single to right by Tyler Collins in the seventh, putting the Tigers ahead 4-0. Castellanos tripled with one out in the sixth and Cabrera was intentionally walked to first with a 2-0 count to set up a possible double play. Victor Martinez then beat a shift with a ground single to left to give the Tigers a 2-0 lead. Detroit scored in the first after Ian Kinsler singled to center and Castellanos walked. Kinsler took third when Cabrera fouled out to right and scored when Martinez hit a sacrifice fly to left. NOTES: Detroit held a pre-game ceremony to honor the memory of recently deceased owner Mike Ilitch, raising a ‘Mr. I’ pennant to fly behind the United States flag all season. The Tigers will also wear ‘Mr. I’ patches on the sleeves of their uniforms. … Marco Hernandez started at short in the first of at least three games Boston will be minus SS Xander Bogaerts, who can return from the bereavement list Monday. … Red Sox LHP David Price is scheduled to throw a bullpen session on Monday, the first time he has done so since feeling left elbow pain Feb. 28. He was throwing out to 120 feet during the weekend. … Red Sox Hall of Fame 2B Bobby Doerr turned 99 Friday and is the oldest living Hall of Famer ever. BOSTON – (Staff report from Official News Release) – The New England Sports Network, aka NESN to the NE faithful, is teaming up with the Red Sox, and Lexus to do their best to “Strike-Out” hunger in the Commonwealth. For the second straight season, the Strike Out Hunger program has been activated in an effort to raise awareness and funds for hunger relief across Eastern Massachusetts. Strike Out Hunger is a fundraising campaign where Lexus donates $50 to The Greater Boston Food Bank every time a Boston pitcher strikes out the opposing team’s hitter. The initiative launches on Opening Day and runs through all games in the 2017 Major League Baseball regular season. The now annual Strike Out Hunger campaign follows a highly inaugural effort of 2016, with Lexus donating $68,100 and 1,300 pounds of food to The Greater Boston Food Bank for the 1,362 strikeouts thrown by Boston pitchers. The contribution provided more than 200,000 healthy meals to those in need across Eastern Massachusetts. Lexus will also host food drives for The Greater Boston Food Bank throughout the month of June at six Boston area dealers. Items donated to Ira Lexus of Manchester will benefit The New Hampshire Food Bank. DETROIT – Two teams heavily impacted by bad weather in the early going meet today in Detroit, where the Tigers open their home schedule with the first of four games against the Red Sox. Detroit was rained out twice in a season-opening series at the Chicago White Sox, which resulted in a two-game split after its 11-2 loss Thursday afternoon. The Tigers managed just four hits in the contest and slugging first baseman Miguel Cabrera had his second straight 0-for-3 effort to begin the campaign. The Red Sox were rained out Thursday at home against Pittsburgh, prompting a rotation reset amid a flurry of transactions. Eduardo Rodriguez, who was scheduled to start against the Pirates, will go Saturday in Detroit, keeping knuckleballer Steven Wright in line to make his season debut Friday. Boston also placed both shortstop Xander Bogaerts and reliever Matt Barnes on the bereavement list and put reliever Robbie Ross Jr. on the disabled list with a flu bug that kept right fielder Mookie Betts out of the lineup in Wednesday’s 3-0 win over Pittsburgh. Wright was an All-Star last year in a breakout campaign that ended early due to a shoulder ailment stemming from a dive back to the bag as a pinch runner in August. His worst start of the year came at home against Detroit on July 26, when he gave up eight runs and nine hits in 4 2/3 innings. The 32-year-old boasted a sparkling 2.09 ERA away from home in 2016 and allowed just one run in 13 1/3 innings during Grapefruit League play. Fulmer, the reigning American League Rookie of the Year, also finished 10th in Cy Young Award voting despite a slow start in which he had a 6.52 ERA through the first four starts. He allowed three runs in 7 2/3 frames at Boston on July 27 before tying season highs by giving up six runs and 10 hits in 5 2/3 innings in a rematch at Comerica Park nearly a month later. Bogaerts, Dustin Pedroia and Jackie Bradley Jr. each homered off Fulmer last year while Sandy Leon went 3-for-5 with a pair of doubles. 1. Betts is expected to be a game-time decision, manager John Farrell told reporters Thursday. 2. Tigers 2B Ian Kinsler hit .309 at home in 2016, compared to .267 on the road. 3. Boston recalled IFs Marco Hernandez and Deven Marrero along with RHP Noe Ramirez to fill the open spots on the roster.